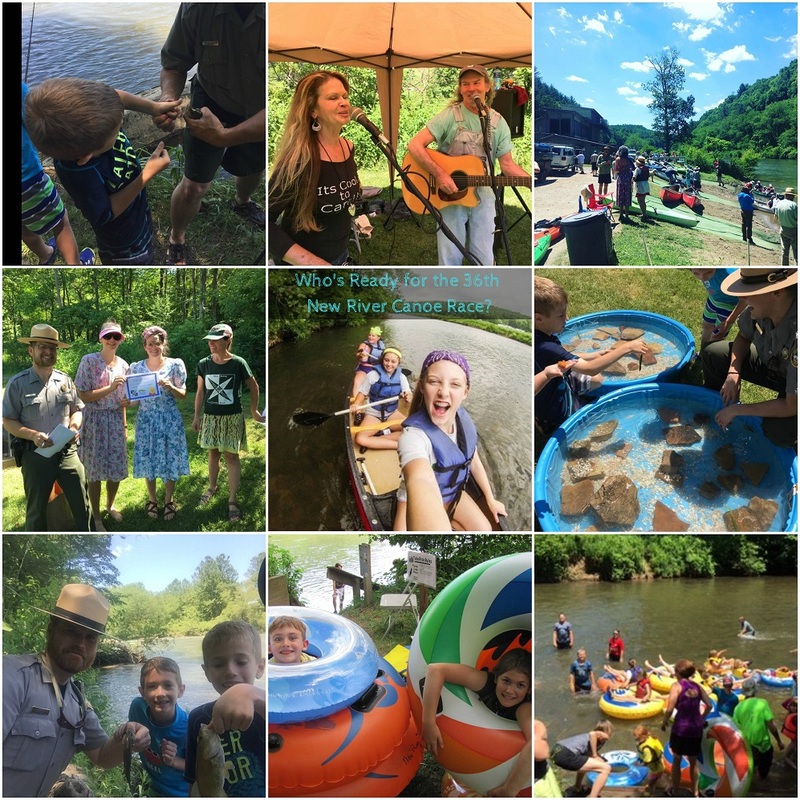 Home >> New River State Park >> Park News >> 36th Annual Canoe Race! The 36th Annual New River Canoe Race was a blast! Great weather coupled with above normal water levels created ideal conditions for a fun day of racing on New River. The race is coordinated by Friends of High Country State Parks and is a long running tradition of bringing families to paddle the river. The race includes multiple categories for men, women, mixed, and families utilizing different water craft such as canoes, kayaks and longboats. There were about 150 boat entries in the race from novice to champion levels. Some of the fastest times were under 50 minutes for the 5 mile paddle! There were plenty of family activities for the family including tube rides, food, music, fishing, and ranger programs. Thank you to all who volunteered, sponsored, and participated in this event.